Griffin has a nightmare that Peter as Henrik is creating havoc in the city streets. When he wakes up, Ava questions him. Griffin claims he has a lot on his mind, but can&apos;t share it with her. He promises to destroy the test results and put everything out of his mind for good. Peter&apos;s reading Lulu&apos;s latest article about Henrik&apos;s book, which comes with a photo of Faison. Lulu arrives and is not happy. Her article might upset Maxie again when she sees Faison&apos;s face attached to it. Lulu thinks she&apos;s trying to find answers so Maxie can have closure, but she&apos;s certain Maxie won&apos;t see it that way. Lulu decides she won&apos;t write any more articles, but Peter disagrees. Lulu points out several texts and emails that she&apos;s received, supposedly from Henrik, but knows they are all false leads. Peter points out one text and it catches Lulu&apos;s eye. It contains the epitaph from the book. Since only a few advance copies were released, Lulu assumes this is the real Henrik trying to meet with her. Lulu doesn&apos;t want to repeat her mistake, but Peter says only Henrik has the answers that will give them closure. Lulu decides to follow the story. Later, Peter calls Valentin and tells him that "it&apos;s done". Carly tells Sonny she&apos;s made an appointment to see Griffin to prove she isn&apos;t crazy. Carly calls Ava to rearrange times with Avery, which doesn&apos;t sit well with Ava. Ava complains to Nelle, who now knows Carly has an appointment at the hospital. Michael and Maxie separately show up for the birthing class, minus their partners. Michael talks about all the wonderful things that will happen with a new baby, which upsets Maxie. 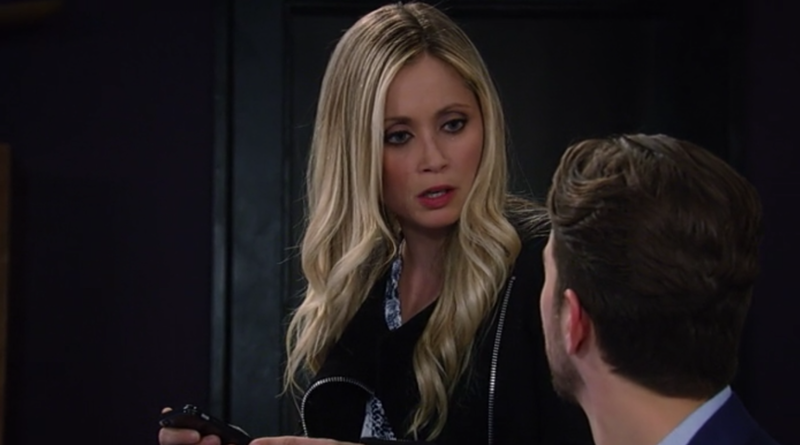 Michael apologizes for being insensitive, but Maxie says she reacted only because Nathan won&apos;t get the same chance as Michael. Maxie points out that despite the family and friends to help her, she&apos;ll ultimately be alone with this baby. Michael understands grief and tells her to fight through it. Michael suggests they do some breathing exercises together while waiting for Nina and Nelle to show up. Curtis meets with Nina and tells her that he did a professional background check on Peter. Everything seemed to check out business-wise, but he can&apos;t find where he lived before Port Charles. Nina says she&apos;s more interested in his personal life, so Curtis agrees to keep digging. Curtis decides to look for records of Peter from his childhood. Sonny tells Max about Mike knowing what happened in Croton. He explains he dumped the gun with the body, which can be traced back to him. Max suggests they head to Croton to dig up the body and the gun. Sonny doesn&apos;t want to draw attention in case the Feds are watching him. Sonny wants to know who else would know about this other than Mike. Nelle gets to the hospital planning to leave a note on Carly&apos;s windshield. She then heads to the birthing class in time to see Michael and Maxie joking around together. This does not sit well with Miss Thang.